CHALLENGE: Write and design a creative, 146-page annual report for the Armed Forces Retirement Home that promotes resident independence in three months. SOLUTION: We shot original photography and interviewed American veterans. We wrote and designed the entire book to reflect our theme. We wrote and edited performance and financial information including beautiful charts and graphs. And we supervised the printing process. 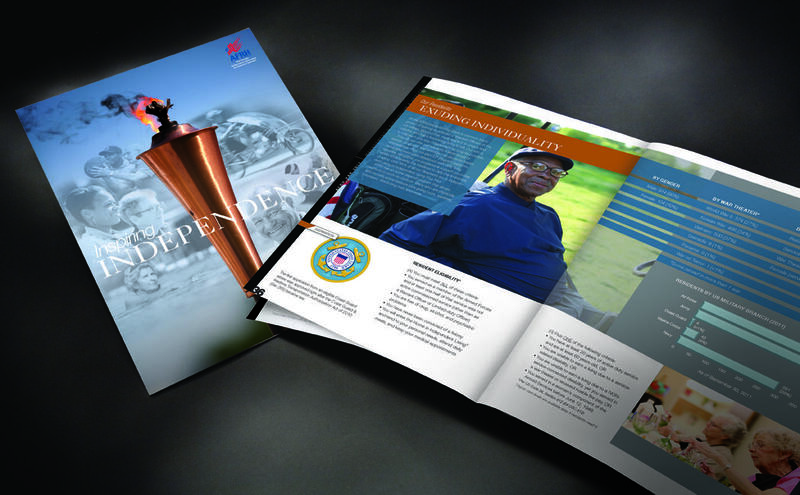 EXECUTION: “Inspiring Independence” is our favorite of the nine annual reports that we have created for AFRH. It perfectly captures how the residents have inspired many Americans by defending our freedoms. And, in turn, the Home is inspired to promote the veterans’ independence as they age.